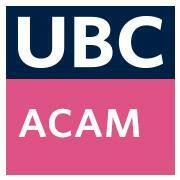 Webcast sponsored by the Irving K. Barber Learning Centre and hosted by by Centre A and the UBC Asian Canadian and Asian Migration Studies (ACAM) program. This event was held on Thursday, October 16, 2014 at Centre A – 229 E. Georgia St., Vancouver, BC. The exhibition “Jim Wong-Chu: Photographs 1973–1981: People, Place, Politics” consists of nearly 100 black-and-white photographs taken by Jim Wong-Chu during the years he attended Emily Carr, then known as the Vancouver School of Art. The photographs personally selected by the artist from hundreds of shots he took during that period include works from his Pender Street East series, various community photos and protest images from the drive to save BBQ Pork, the democratization of Chinese Benevolent Associations, and the Quebec-Columbia Connector Freeway protests. This three week long exhibition coincides with the LiterAsian Festival of Pacific Rim Asian Canadian Writing and comes on the heels of Jim’s significant contribution of fonds to the UBC library. Born in Hong Kong in 1949, Jim Wong-Chu came to Canada in 1953 settling in Vancouver in 1961. Witness to and participant in much of the Chinese Canadian activism in the 1970s and early 80s, Jim became one of its documenters. After completing a degree in Creative Writing at UBC in the 1980s Jim published Chinatown Ghosts (Arsenal Pulp Press, 1986), the first book of poetry published by an Asian Canadian. As a persistent activist and cultural producer Jim co-founded the Asian Canadian Writers Workshop, Ricepaper Magazine, Pender Guy Radio, the Asian Canadian Performing Arts Resource (ACPAR), literASIAN: A Festival of Pacific Rim Asian Canadian Writing and the Vancouver Asian Heritage Month Festival. With the sheer girth of his activity Jim has been instrumental in creating a cultural scene inclusive of Asian Canadian talent.